Soldiers, police, firemen and people who've suffered abuse aren't the only ones with a high risk for post-traumatic stress disorder (PTSD) -- a new study shows that 911 dispatchers may be at risk, too. Check back for news and updates to our website and the 911 center! Sarah Newell has been named 911 Director by the E-911 Board. This became effective immediately. 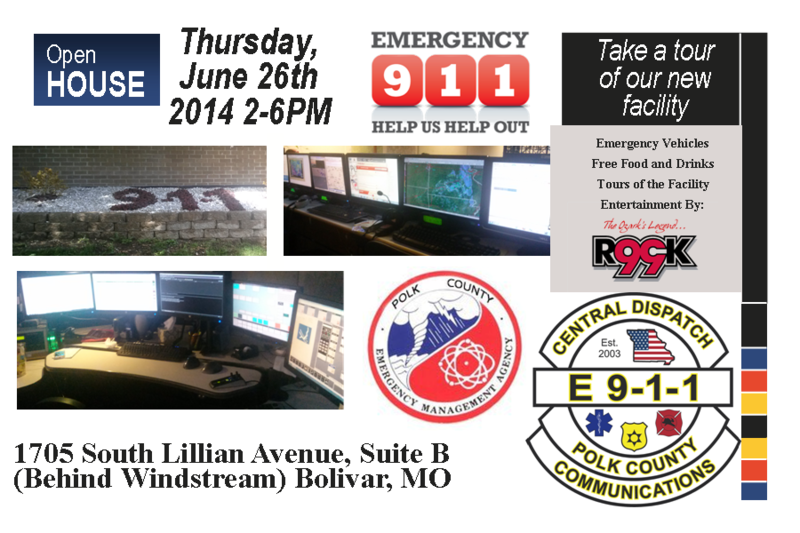 For further information, click this link which will take you to the Bolivar Herald Free Press web site. Crews recently completed remodeling our patio at the back of our facilities. This will enable our dispatchers to get fresh air, rain or shine. Often, this is the only fresh air for a 12 hour shift our dispatchers will see. 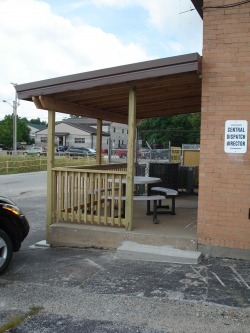 This addition was provided to us by the county, who owns the building.